Don't Just Book a Bed and Breakfast – "Select" one! 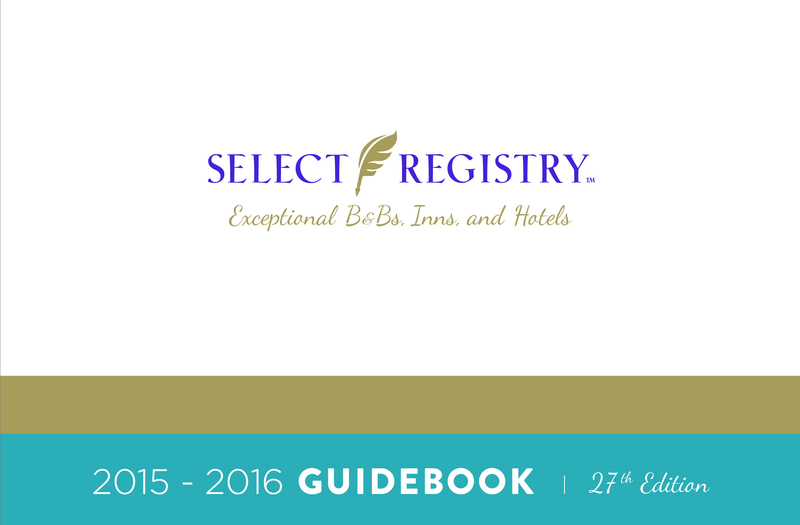 Don’t Just Book a Bed and Breakfast – “Select” one! What does that Select Registry plaque on the door mean? It’s a guarantee that you are in a quality Bed and Breakfast. So, you love staying at B&B’s. With more than 20,000 Inns in North America alone, the question becomes which B&B to choose from? We found Select Registry more than 20 years ago and given a choice, we only stayed at their properties because we knew we were going to get a high quality accommodation regardless of location or size. For that reason, travelers return year after year because they know that Select Registry selects only the best and continues to guarantee excellence through its rigorous quality inspections. Jay L. Karen, Select Registry CEO says this about property members: “Select Registry members are recognized for providing exceptional service, unique experiences, and extraordinary lodging for their guests.” SR is a portfolio of more than 300 of North America’s premier inns. Its quality assurance program requires inns to pass a 200-point quality assurance inspection. An inspector arrives to the Bed and Breakfast anonymously. They spend the night and, while there, they evaluate the inn based on a detailed 200-point system that translates into a pass/fail grade. The inspection is an ongoing practice, which assures travelers that SR properties are uniquely their own, a reflection of personalities and tastes of individual innkeepers/owners. And, because guest loyalty is so important to them, they have the Select Registry Select Rewards Program; a way to say thank you for staying at Select Registry properties. 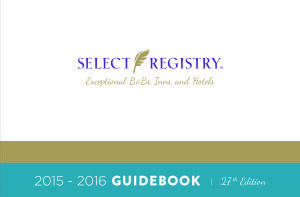 For each overnight stay at a Select Registry property, the guest earns one Quill Point. When the guest earns 12 Quill Points, they receive a $100.00 reward certificate for use at any Select Registry Bed and Breakfast in North America. When we purchased the 1802 House Bed and Breakfast in Kennebunkport in 2013, our first goal was to become a Select Registry property. We had such a good relationship with them as guests, we wanted to carry that over as Innkeepers and be able to provide that level of exceptional accommodation and service to our guests. We were thrilled – and proud – when we were accepted and became members in 2014. It’s important to us that our Inn is a place where travelers can escape the increasingly impersonal world, where they can find a warm welcome and friendly smile. We offer freshly prepared breakfasts using local Maine ingredients, impeccably-clean rooms, an unparalleled personal level of service and many other unique advantages that one can expect from a Select Registry qualified Inn. Choose our Select Registry Bed and Breakfast for your next Kennebunkport getaway and let us show you the difference!